Beetronics, are absolutely killing it right now. Their new “Swarm” pedal is a fuzz/harmonizer/PLL (Phase Locked Loop). The Swarm has the Joe Barresi seal of approval too! Their effects are top notch, and the quality of the builds, and aesthetics of the enclosures are pieces of art. If you don’t know Rainger FX, you need to check them out. With David Rainger at the helm, with names like “Dr. Freakenstein”, and “Igor”, David Rainger is very much establishing himself as the Dr. Frankenstein of the effects world. 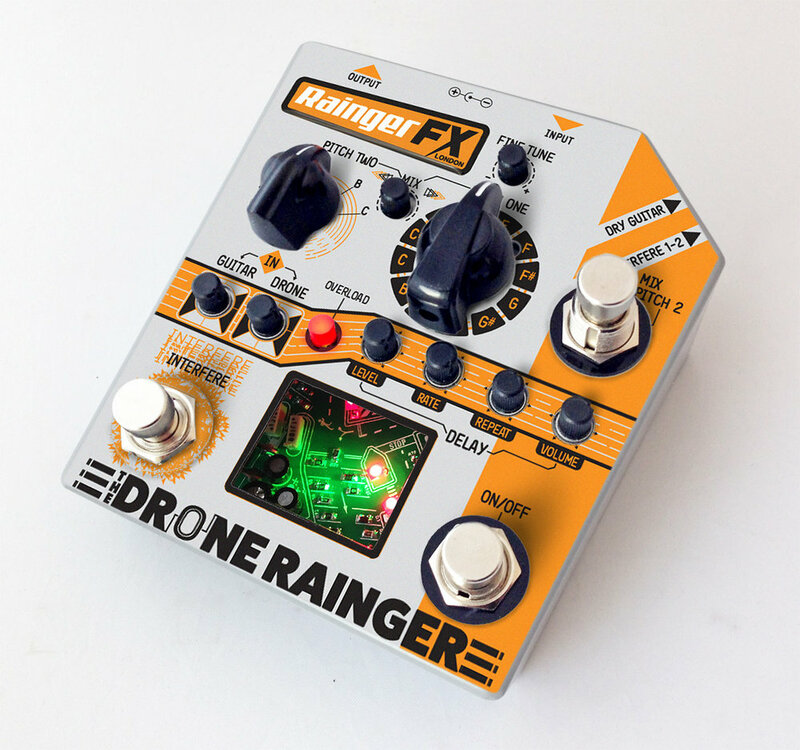 Debuting the Drone Rainger tone generator/delay pedal at NAMM 2019, it’s a super unique delay pedal, with tunable tones and white noise “blasts.” Rainger FX also dropped a pedal that’s one of my career sounds, a cutting tremolo fuzz! It’s dirty, it’s choppy, it’s super creative. Rainger FX is awesome and so is David, his stuff is super unique and wild. We love it. Where do we even start with the new “Spectrum Intelligent Filter” by Source Audio? It bit crushes, it harmonizes, it’s a synth, it’s an envelope filter, it’s got distortion and it has a super intuitive interface to dial in your sounds. Crazy details like programming individual waves, the shapes, the amount, it can do Nick’s “Warp” sound! There’s a lot to dig into with the Spectrum, but it’s right up our alley and we can’t wait to try it in depth. Shouts out to Fender and Nordstrand Audio! Fender’s new Alternate Reality line looks super cool, Nick really digs the new Powercaster guitar. Nordstrand Audio is coming out with a Goya style bass that is super dope (you all know how I feel about those Goyas). They asked to borrow one of mine to spec it out and now they’re doing their own version. Thanks again to Premier Guitar having us, we can’t wait to see what 2019 brings for Pedals and Effects!